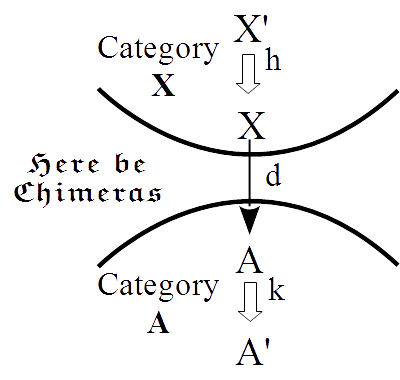 Category theory has foundational importance because it provides conceptual lenses to characterize what is important and universal in mathematics—with adjunctions being the primary lens. If adjunctions are so important in mathematics, then perhaps they will isolate concepts of some importance in the empirical sciences. But the applications of adjunctions have been hampered by an overly restrictive formulation that avoids heteromorphisms or hets. By reformulating an adjunction using hets, it is split into two parts, a left and a right semiadjunction. Semiadjunctions (essentially a formulation of universal mapping properties using hets) can then be recombined in a new way to define the notion of a brain functor that provides an abstract model of the intentionality of perception and action (as opposed to the passive reception of sense-data or the reflex generation of behavior). Keywords: category theory, adjunctions, brain functors, heteromorphisms, intentional perception and action. Click here to download the reprint from Brain.